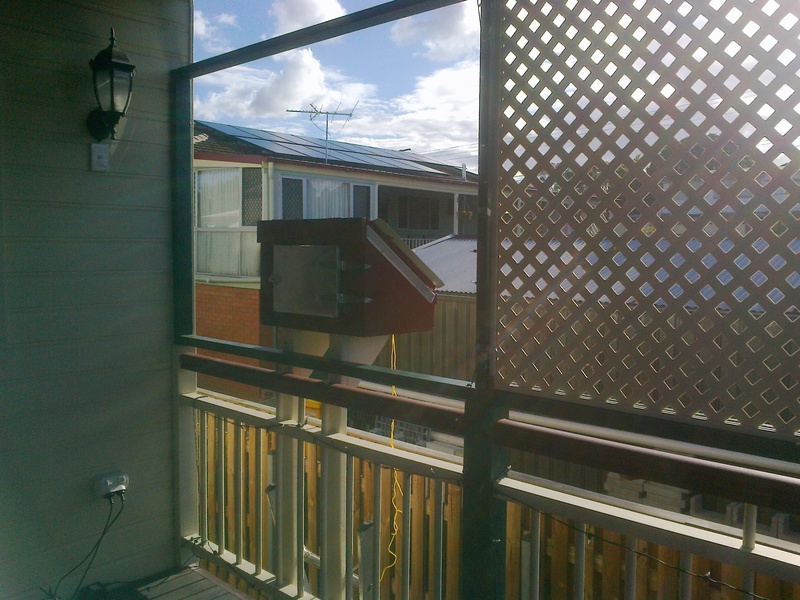 A solar wall oven for the western side of the upper rear deck in a fixed position easily accessed, close to the upstairs kitchen. Being fixed, it will only work in the afternoon. 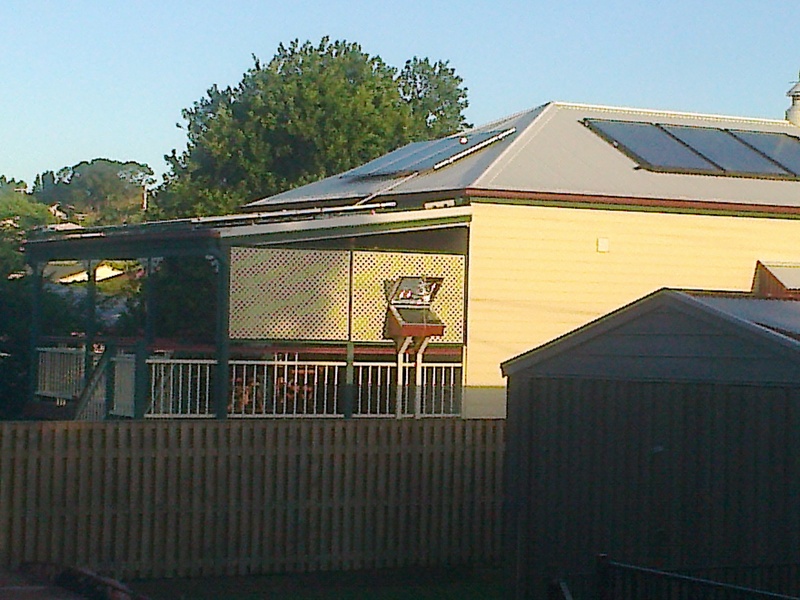 The design is home-made, tailored to the situation with the assistance of Stan (www.sizzlingsolarsystems.com) and various websites and images (do a google search of solar wall ovens). 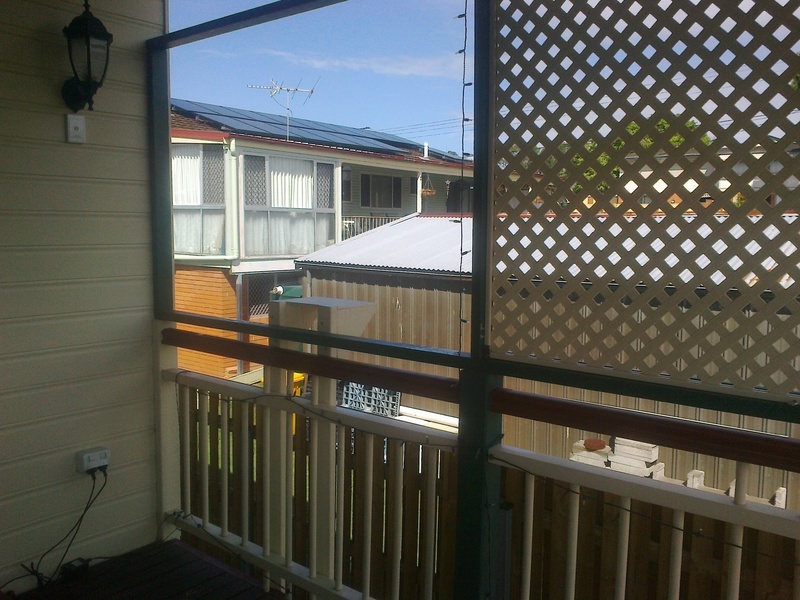 Half of the materials were used… so the cost reached $250, mainly incurred by the cost of toughened glass, double-glazed, aluminium, stainless steel screws, marine plywood, latch and hinges. Starting with construction of a marine ply box with stainless steel screws, the face or top slopes downward to allow sunlight in. Then the box was lined with a 4 cm thick layer of cardboard, cotton and wool insulation. 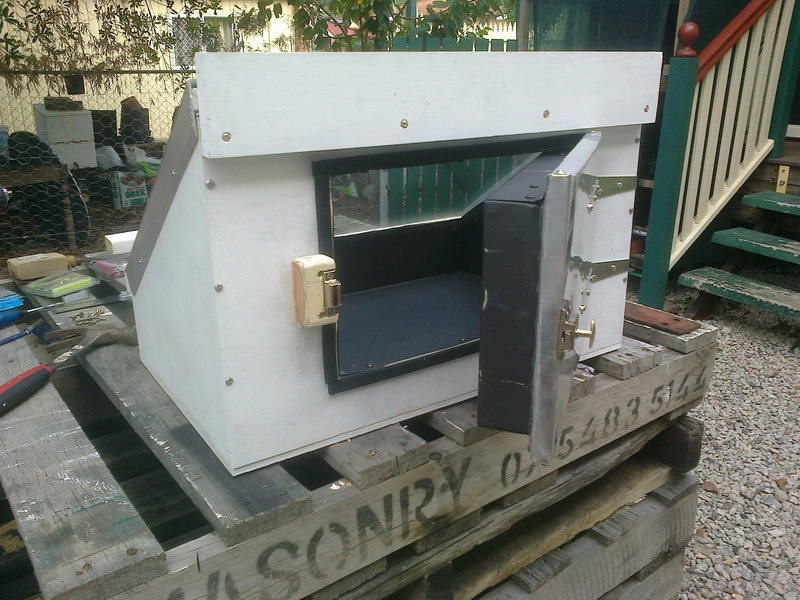 A tin and aluminium box made to size to fit inside was then constructed and painted with pot belly black heat resistance paint. Usually aluminium is used because it’s easy to work with, but I happened to find some tin roof flashing which was quite thin and flexible. The inside box was then fitted inside. 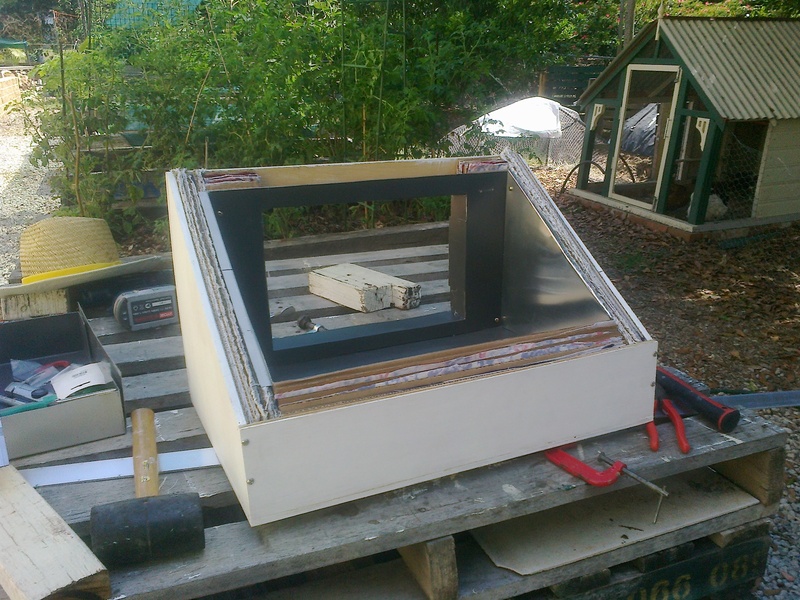 The top was then covered with two sheets of toughened glass; double glazing, for extra insulation. Construction of the door was challenging, requiring considerable metal work bending and altering things like hinges to suit to oven as it was often impossible to find parts at hardware stores. 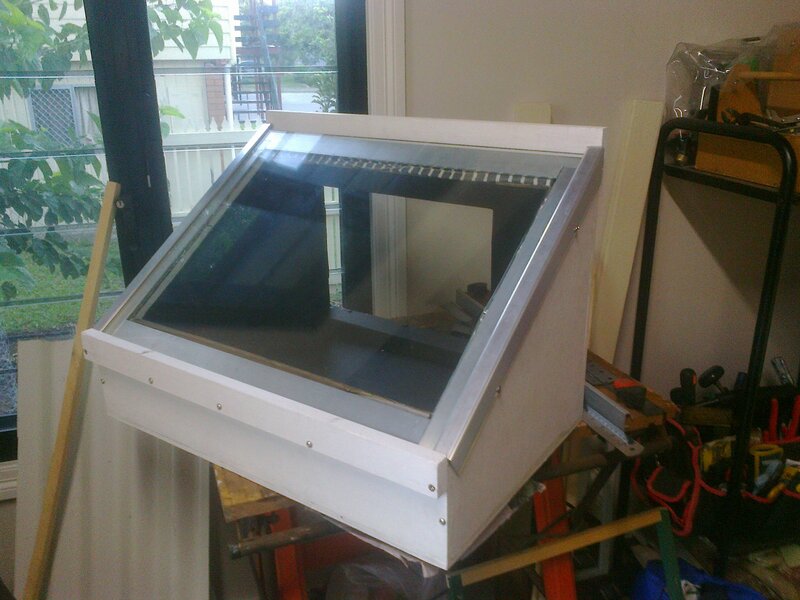 Support brackets were built to support the 25 kgs of the oven. 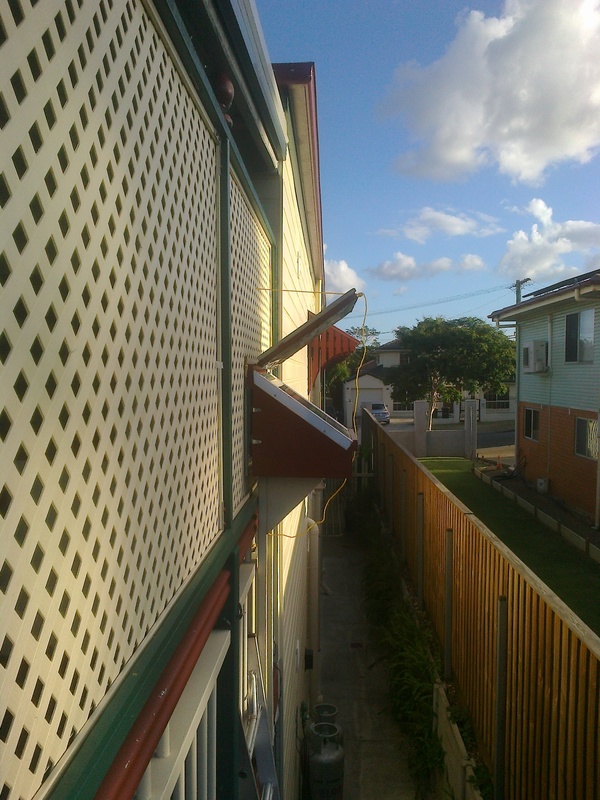 After adding a corrugated iron cover, the oven was secured to the support brackets. 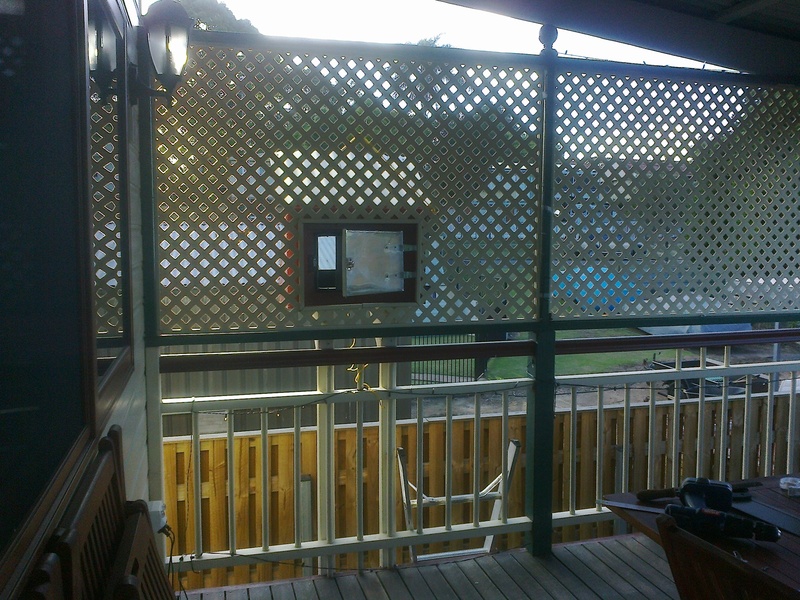 Finally, the lattice was fitted. The lid is adjustable from the deck. In total, about 2 months in the making. I later installed a thermometer, and to date the highest temperature has been only 80 degrees Celsius. A bit disappointing, but it hasn’t been through mid summer yet. It’s enough to warm up dinner and half-bake vegetables. 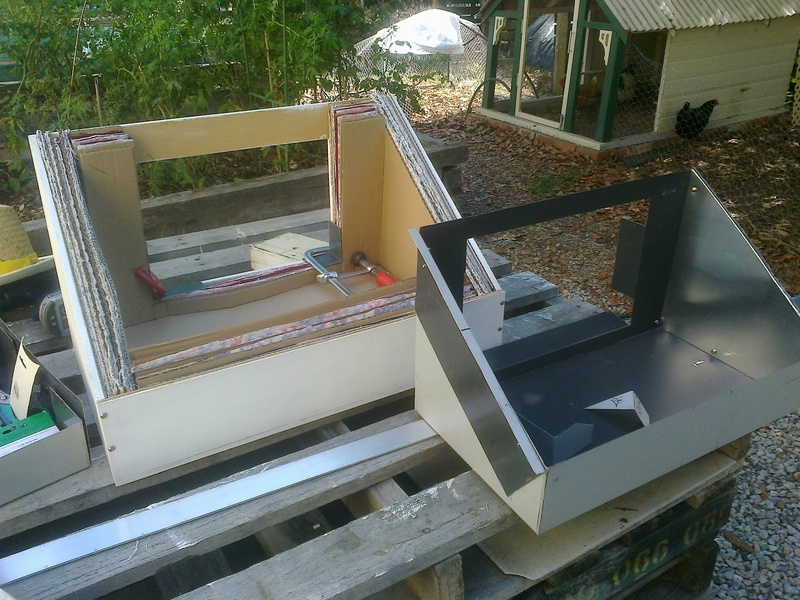 This entry was posted on January 23, 2014 by Equanimity Foundation and tagged solar wall oven.